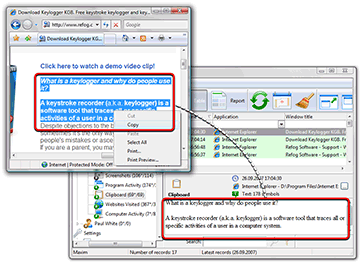 What is Refog Free Keyloger? You are typing kilobytes of your thoughts into an on-line form to post on a message board and when you press "Submit", it says "DNS Error… Check your Internet connection"
You say "Oops!" or even something worse! 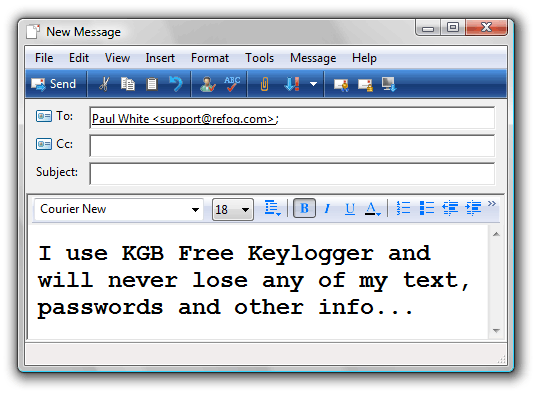 Our answer is "Refog Free Keyloger"! 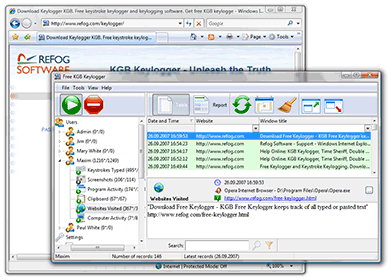 This free program logs all your keystrokes, whether you use an e-mail client, a text editor, a web browser or any other Windows application. 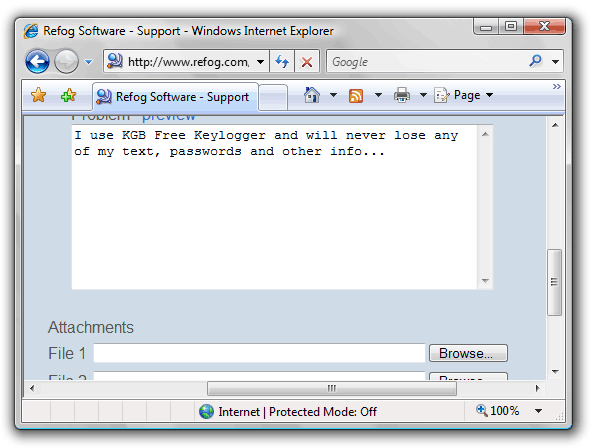 You will find everything you ever typed in Refog's log. 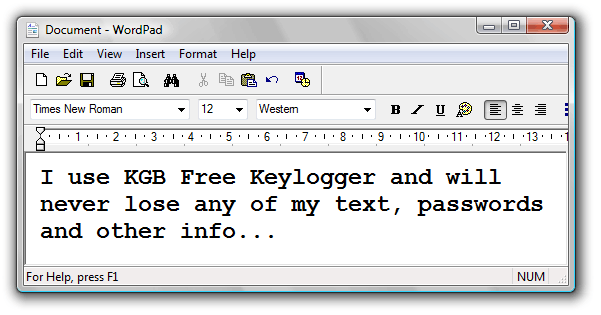 In addition to keystrokes, Free Keyloger also logs some application specific information as well. For example, it logs all the URLs you visit with your Web browser. 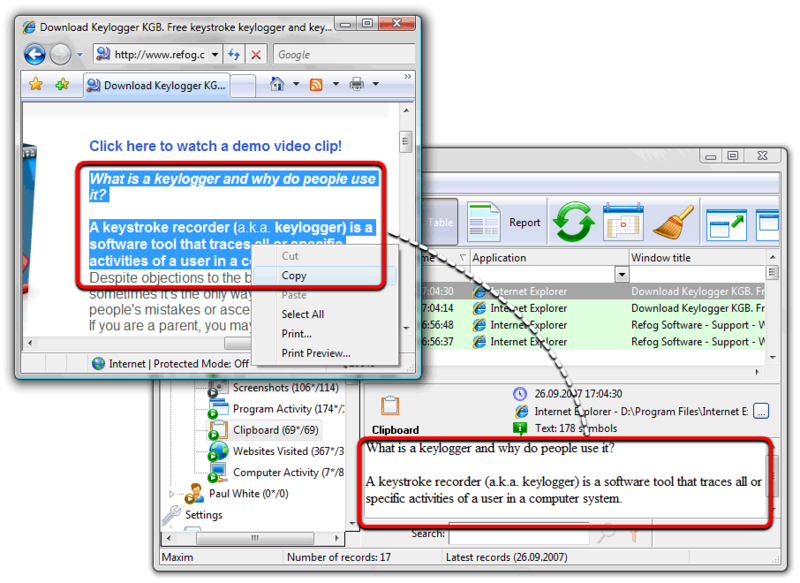 It also logs the captions (titles) of all windows that you open. 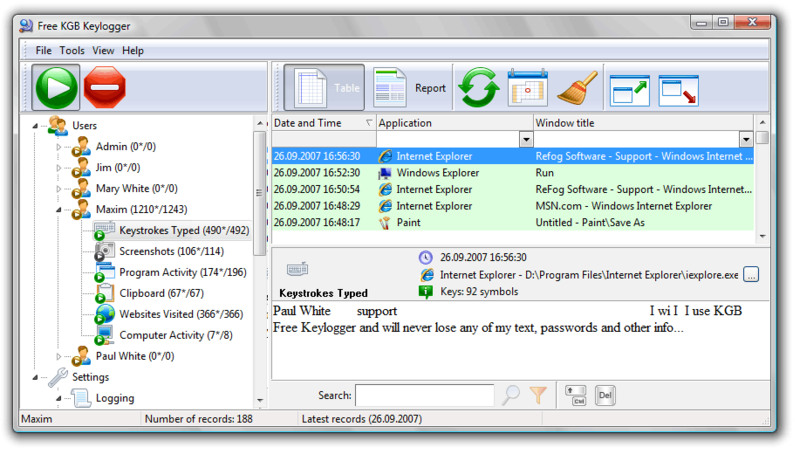 This allows you to easily find texts that you typed in specific applications or on specific Web pages. 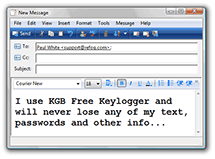 It is extremely useful when you forgot your login info or a registration key for a program or a Web site. 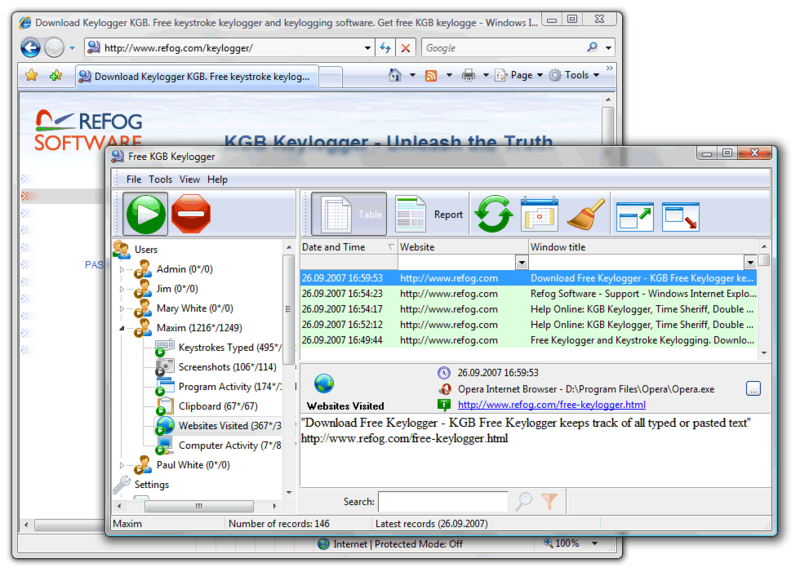 With Refog Free Keyloger, all your login and registration info is safely logged.